Over the weekend, New Balance launched its Russian-inspired Otruska pack, which included an all-new Tekela boot silhouette, updated Furon 4.0, and 574, 247, and Cruz 2.0 lifestyle sneakers. 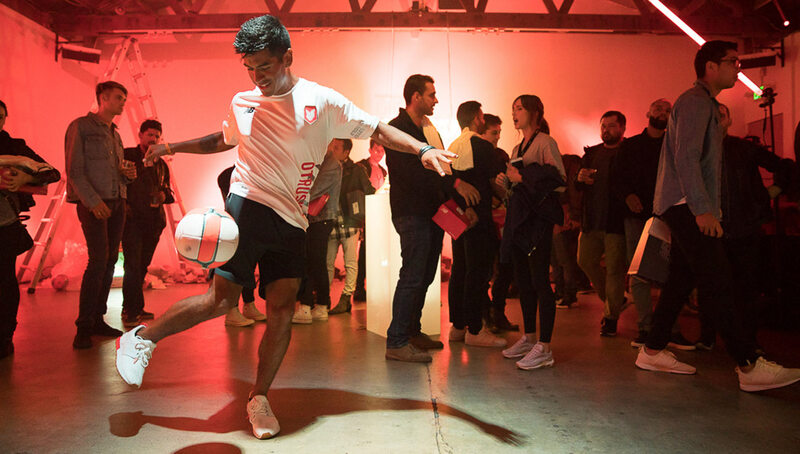 We were on the scene at the official release party in Venice Beach to get the raw and uncut opinions of the pack from the guests in attendance, who ranged from football fanatics to sneakerheads alike. 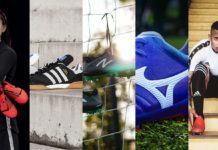 The 2018 World Cup will be here sooner than we know it, and major brands all over the world are making the necessary preparations. 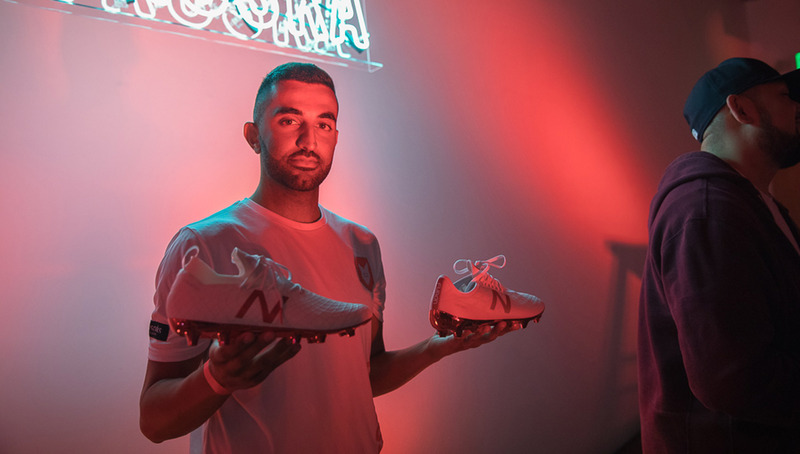 For New Balance, which is quietly becoming a major player in the football apparel industry in terms of style and quality, that meant the introduction of the Otruska Pack. The all-new New Balance Tekela. 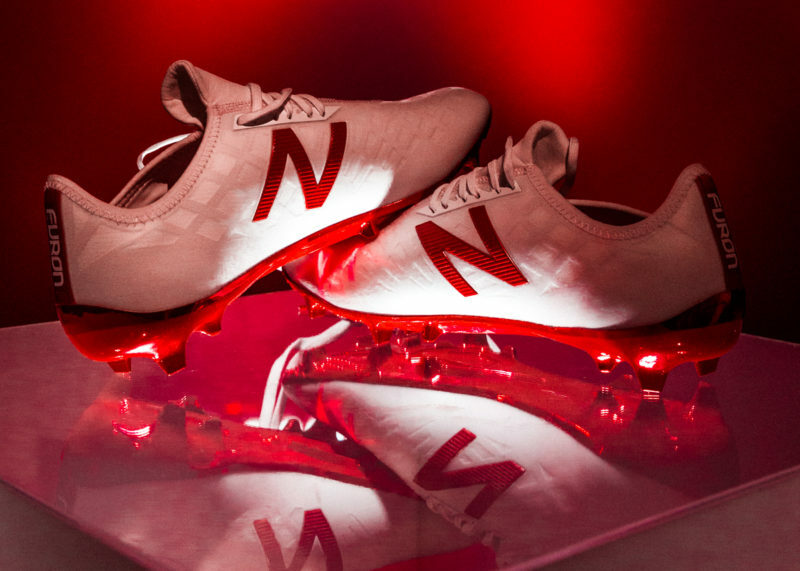 The New Balance Furon 4.0. Photo courtesy of Devin L’Amoreaux, Crossbar FC. The pack’s name and color scheme are obvious callouts to Russia, which of course will be the site of this year’s World Cup. The name “Otruska” is the Russian translation of Orthrus, a two-headed dog from Greek mythology — represented in the collection by a brand new Tekela boot and Furon 4.0. 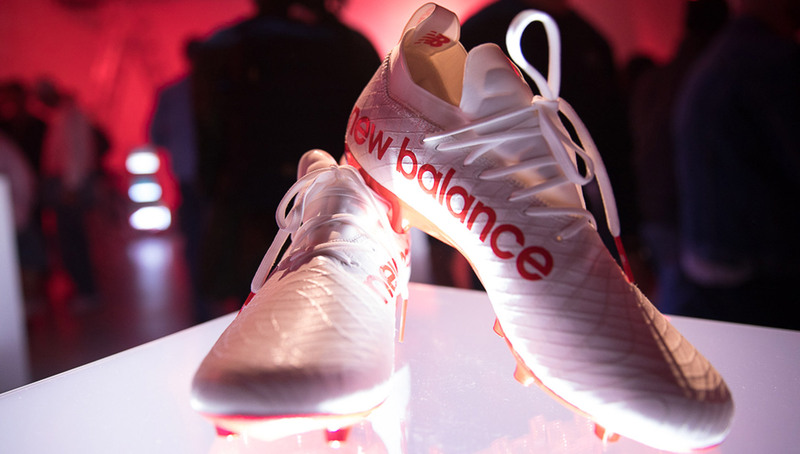 The Tekela is set to replace the Visaro, signaling the dawn of a new two-headed boot monster for New Balance. 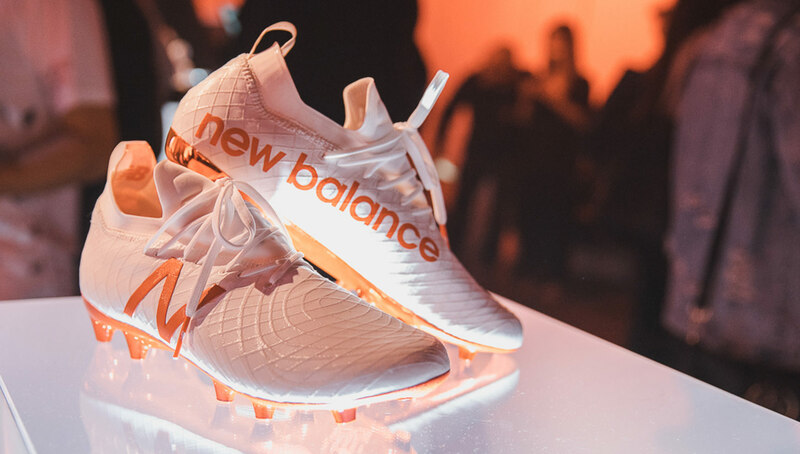 The pack’s red and white colorway aligns with Russia’s 2018 World Cup kits, and we should expect to see the boots on the pitch from New Balance athletes such as Vincent Kompany and Tim Cahill. The New Balance 574 “Otruska.” Photo courtesy of Devin L’Amoreaux, Crossbar FC. 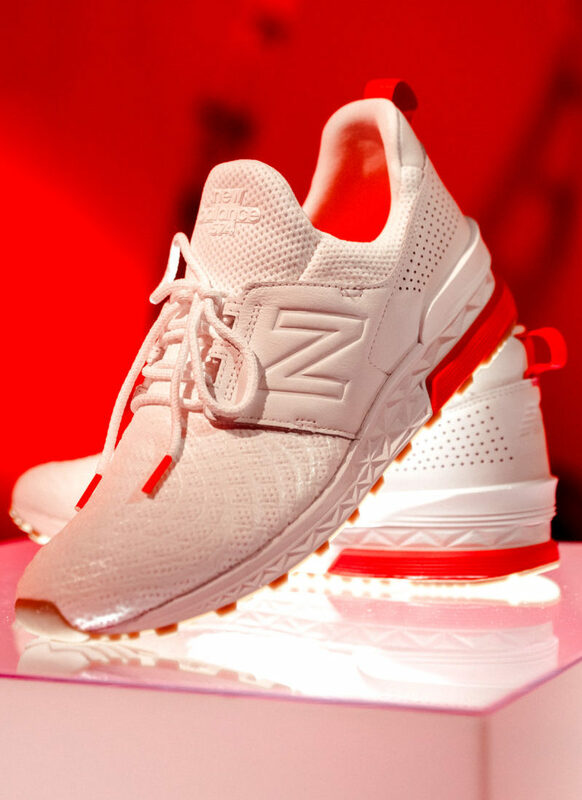 The Otruska pack includes off-the-pitch sneakers as well, draping the 574, 247, and Cruz 2.0 models in white and red. 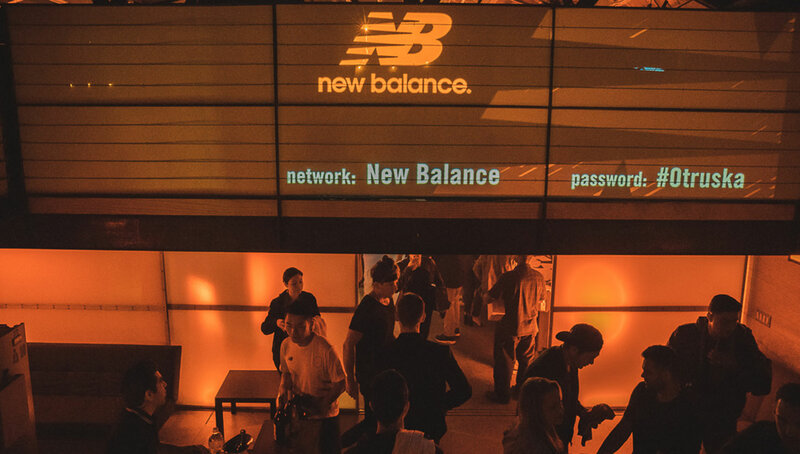 This represents the first time New Balance has extended a football influence to its lifestyle shoes. 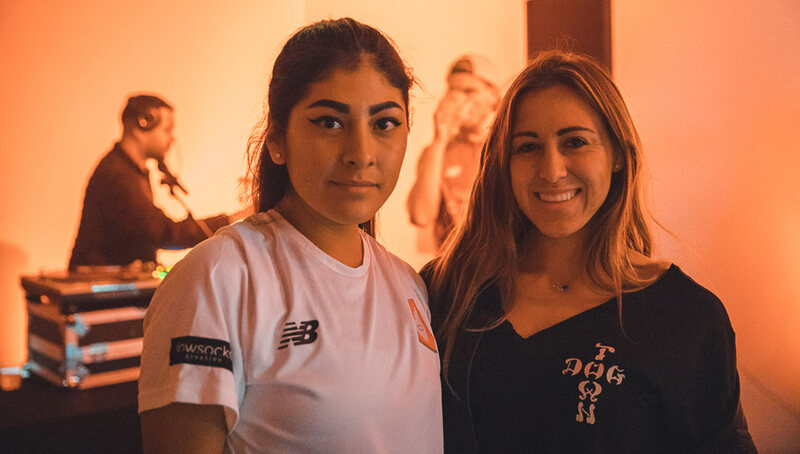 To introduce the pack to the United States, New Balance and Crossbar FC put together a release party that included LA freestylers Alex Mendoza, Lizzy Calderon, and Kevin Medina, and of course, free shoes and swag for all of those in attendance. We were on the scene at the event to capture what the people truly thought of the new shoes for our latest installment of Heard on the Street. 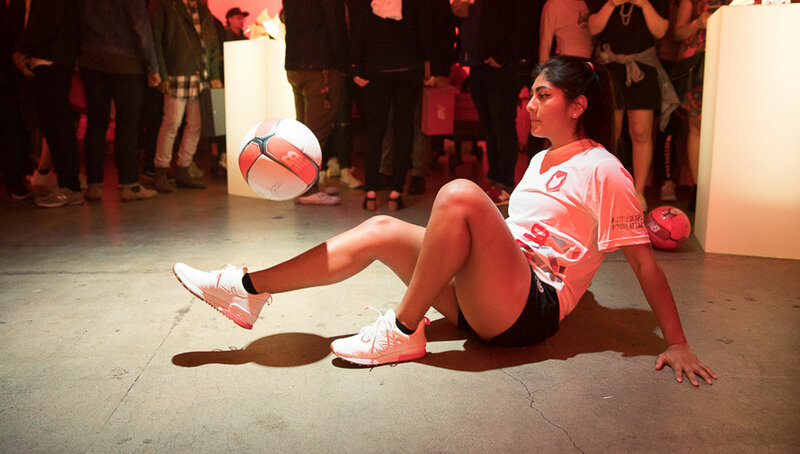 Urban Pitch: What brings you out to the event tonight? Nick Starr: We’re just here to check out the new boots, and we really want to generate some buzz around them. Annie Le: We just wanted to check out the new shoes that New Balance released! Fabian Garzon: A friend of mine invited me. I had no idea about it, but this is pretty dope. Monica Reyes: My good friend Cassandra is the art director for the event. Juan Martinez: I was invited, and I wanted to check out these new shoes. What do you think about the New Balance Otruska pack, and how would you rock them? Nick: They’re awesome. 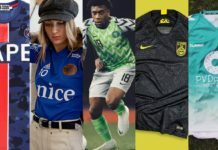 I think the colorway really speaks a lot to Russia and the upcoming World Cup, and I think we’ve got a lot of good responses from them so far. Annie: I’d rock them every day with my jeans. Fabian: The cleats are super fly man. The shiny bottoms are lit. Those would definitely turn heads on the pitch. Monica: I like them! I would wear them every day. Not sure about the cleats, but for the most part they’re great everyday shoes, both comfortable and stylish. Juan: I think they’re pretty dope, and I think I’d rock them with what I’m wearing right now. Just a nice crisp pair of jeans, nothing too fancy or anything like that. Kelly O’Connor: I’d rock them with a nice little crop legging. They’re so comfy it’s crazy. 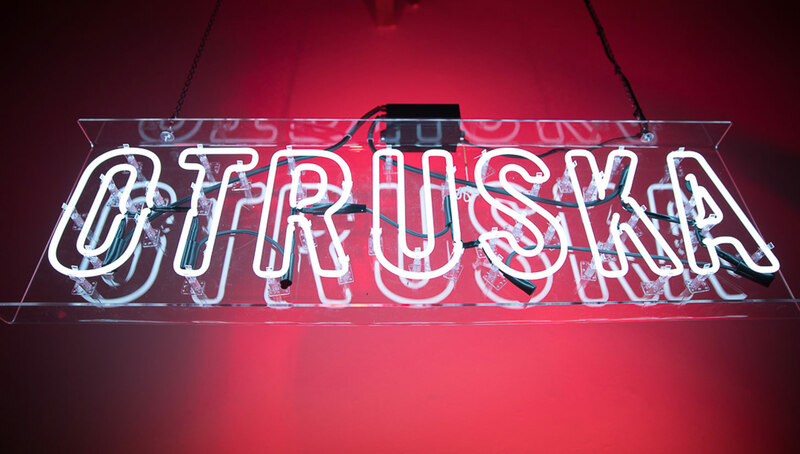 You’ve got one guess for each — what language is “Otruska” in, and what does it mean? Nick: It’s Russian for two-headed dog. It really embraces the Russian influences behind the shoes, and it’s really cool. There’s been a lot of good buzz around them. Annie: It’s German, and it’s a two-headed dog. Fabian: If I had to guess I’d say it’s maybe Japanese or something, and it means vivid. Monica: I have no idea — it means move forward? Juan: I actually looked it up! I think it’s Russian because the World Cup is taking place in Russia this year. When I got the invite, I was like, “I need to look this up so I don’t look like a dumbass when I get there.” I actually didn’t know the exact definition until I got here, but I did know it was in Russian. Kelly: It’s Dutch. It means super comfy! Otruska is in Russian, in honor of the upcoming World Cup. With the U.S. out, who will you be rooting for and why? Nick: I’m going to have to go with Germany, because I have a little bit of German in me. Annie: I don’t even know who’s in it. The U.S. isn’t one? Is Vietnam? Lebanon? Mexico, I guess? Fabian: I’m Columbian, so Columbia all the way baby! Laughs. Monica: Is the Philippines in it? Juan: Just because it’s in Russia, you have to go with the home team right? And they’re kind of sketchy at the moment, you think they’d might have a chance. They’re the home team, home cooking, you never know. Putin might have something up his sleeve! Laughs. Kelly: Mexico. That’s where I’m from. Nick: Costa Rica and Panama. Fabian: That’s a hard question. I want to say Poland…and Senegal? Monica: Countries? Hmmm…Chicago and St. Louis! Laughs. Juan: I have no idea. I don’t even want to guess! Kelly: England…and I have no idea. We’re in Venice Beach, one of the most iconic beaches in the world, which begs the question — beach soccer, traditional soccer, or street soccer? Nick: I guess I’d go beach, because I’m a pretty big beach guy. Annie: Traditional soccer. 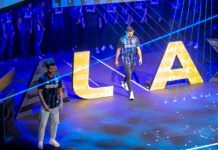 Go LAFC! Fabian: I’m street soccer all the way. I grew up in the streets of Columbia, and that’s where I played. Monica: I’m all about outer space soccer! Laughs. Juan: Street soccer. That’s what we’d play in high school. I was never out on the grass or on the beach, just out on the street. 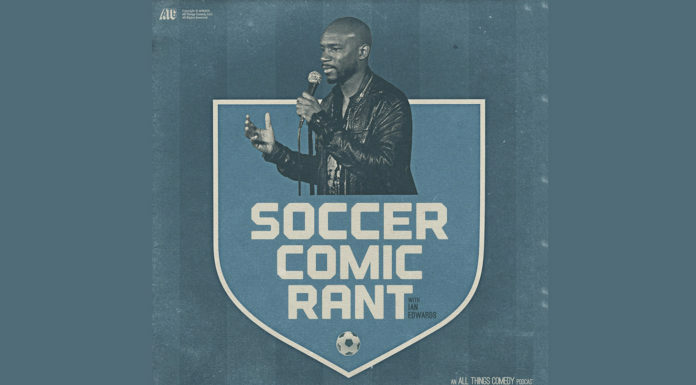 Kelly: Traditional soccer, only because my fiancee loves Liverpool. And because I can get nachos at the game! Laughs.